EXCLUSIVE! When you want to know how something works, who are you going to call? 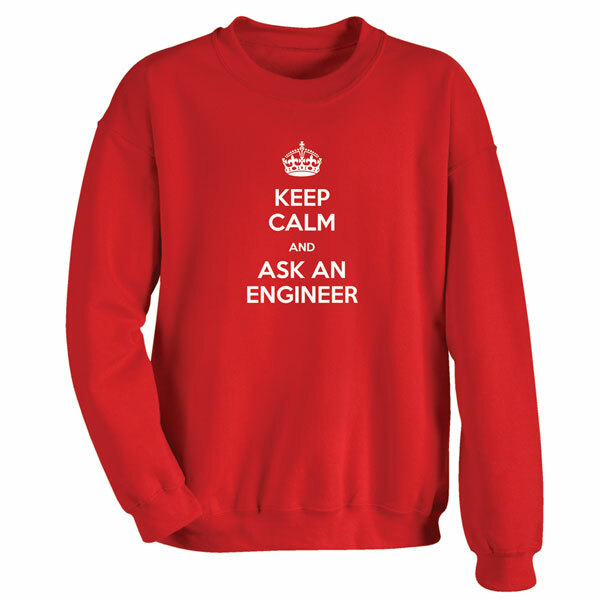 For the day-saving engineer in your life, red sweatshirt is 50/50 cotton-poly; T-shirt is preshrunk 100% cotton. Sizes M-XXL. Imported.